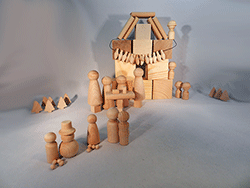 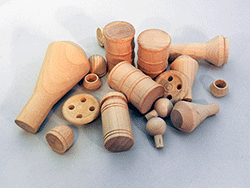 We provide great value and selection of Wooden Toy Wheels, Wood Toy Axle Pegs, Miniature Wood Smokestacks and Cargo. 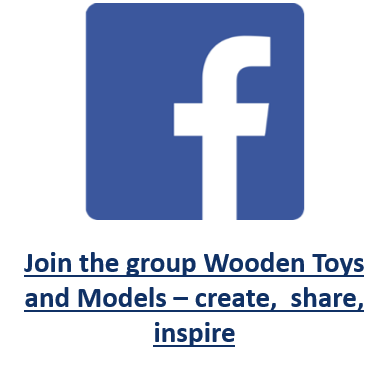 Whether you are working with your the fantastic Toys and Joys Plans available here, or making your own wooden cars and trucks, we have a great selection and value to offer. 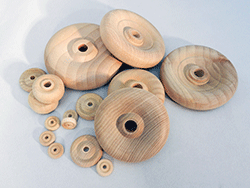 1) Click on a category below to see each size of Wooden Wheel, Axle Pegs or Cargo. 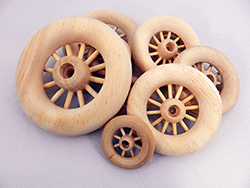 Then click on an item to see a description and for wooden wheels an axle peg recommendation. 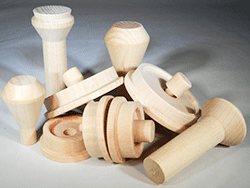 2) Choose axle pegs based on your project designs. 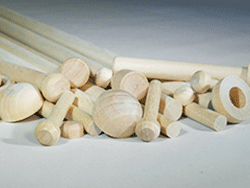 Or choose from our wooden dowel sticks and axle caps for a fixed axle application. 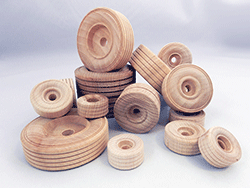 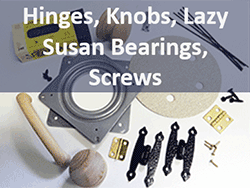 Also find a Quick Order form Axle Pegs and Accessories when you scroll down the description page of a specific wooden wheel. 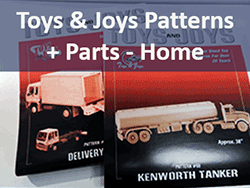 3) Add items to your cart, or create a Wishlist as you go (Click to Learn More about Wishlists) - it is easy to change quantities at any time. 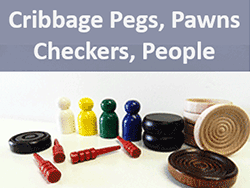 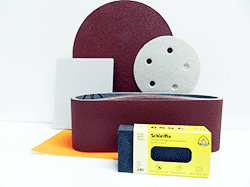 We sell based in a few different quantities to help keep costs low - so note the pricing of items and quantities per bag will vary. 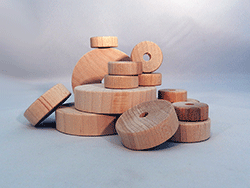 In each item description you will see the size as well as the quantity we sell for the price listed. 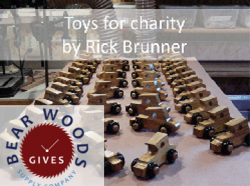 Bear Woods Gives - We want to help the community! 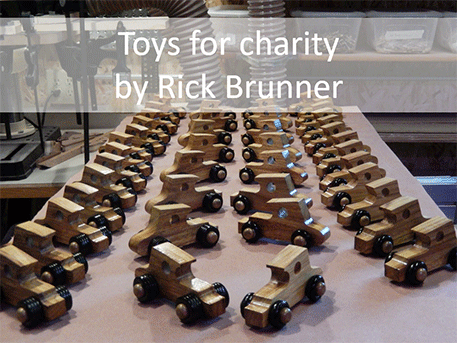 Are you building wooden toy cars or wood model trucks to give away for charity? 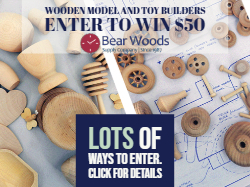 Please share your story with us - win prizes or receive special discounts! 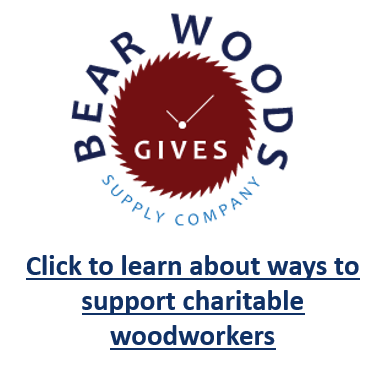 Click Here To Learn More About Bear Woods Gives.